TAMPA, FLA. — The national law firm of Quarles & Brady LLP today announced that Natalie Thomas, an attorney in the firm’s Litigation and Dispute Resolution Practice Group, has been appointed to the board of directors for the Girl Scouts of West Central Florida. The Girl Scouts of West Central Florida is the preeminent leadership development organization for girls, with a vision of building girls of courage, confidence and character who make the world a better place. 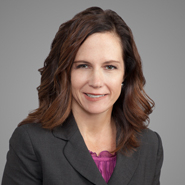 Thomas focuses her practice on commercial litigation with an emphasis on construction litigation. She is Board Certified in Construction Law by the Florida Bar and represents contractors, subcontractors, homebuilders, design professionals, owners and more. Thomas also handles a variety of complex commercial business matters including issues involving contract disputes, fraud, business torts, insurance coverage and more. Along with The Girl Scouts of West Central Florida, Thomas is also a board member of The Helen Gordon Davis Centre for Women and the Alpha House of Tampa, and previously was on the board of directors for The Florida Aquarium and Bay Area Legal Services.